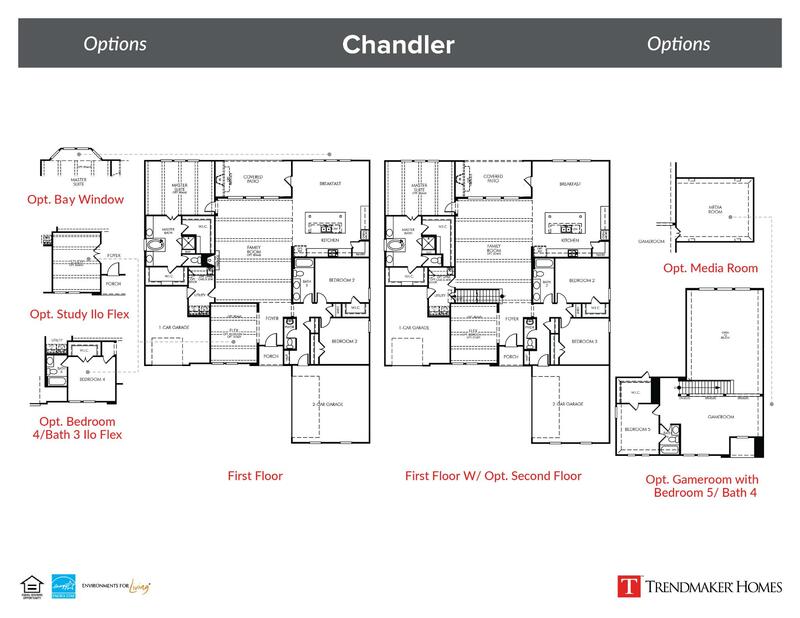 This stunning one-story floor plan offers an open, flowing layout with spacious rooms and premium features. The luxury kitchen includes a large island with additional seating, stainless steel appliances, abundant storage space, a corner walk-in pantry, and a breakfast nook with access to a rear covered patio. At the center of the home is an airy family room with a cozy fireplace and large windows allowing for plenty of natural light. The roomy master suite includes a spa-like master bath with a separate tub and shower, split vanities, and two walk-in closets. The rest of the home includes additional bedrooms and bathrooms, and a flex room, giving you the freedom to truly make this home yours!